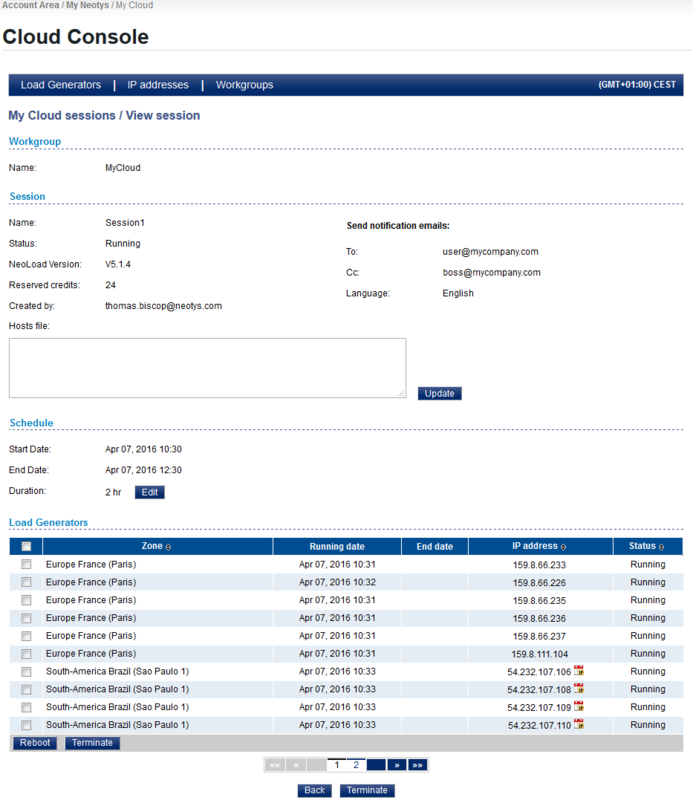 Cloud sessions, either on-demand sessions or reserved ones, can be managed in the online Cloud Console. Information: Because modifying a Cloud session may lead to use additional pre-paid credits or VUHs, it is necessary to log in the Neotys Cloud Platform, as described in Create an on-demand Cloud session and Reserve a Cloud session. 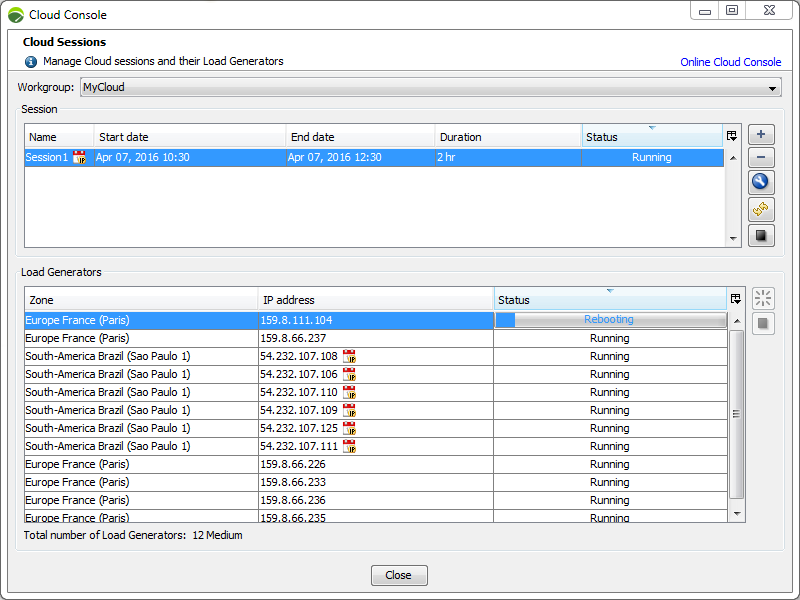 from the NeoLoad Controller, with a click on the Open Cloud Console toolbar button, then on the Online Cloud Console link. Reserved means that the session is procured with a start date, a duration, and a number of Load Generators. Starting means that the machines to generate the load are being started and configured. Initializing means that the Load Generators are checked and that their version complies with the version of the Controller. Running means that the Load Generators are ready to cast the load. Shutting down means that the Load Generators are stopping. Terminated means the Load Generators machines are stopped and suppressed. Canceled means that the Load Generators have been deleted before they can be used. Archived means that the session is over and archived. Error means that no Load Generator in the session is available. It may also mean that an internal issue occurred in the Neotys Cloud Platform. All the Load Generators are suppressed. The Cloud credits or VUHs are given back.